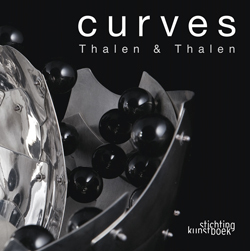 Our beautiful book "Curves", 240 pages in 4 languages with many exclusive pictures of our silver objects, is now available in the bookshop and if they don't have it anymore it can be ordered through the ISBN number: 978-90-5856-358-3. Also available through bol.com and amazon.com . The retail price will be € 34,00. We just saw a review on our book in the magazine Villas, a magazine always worth reading.